What is the MoVI? Why do I want it for my production? The Movi is an electronic camera stabilizer, commonly called a Gimbal. It removes the bumps from handheld shots, sort of similar to a Steadicam, but it also offers so many other possibilities. Because it uses electronic motors, it can work as a remote pan and tilt head on cranes or moving vehicles while still offering smooth shots. Unlike a Steadicam, it can go from low to high angles and can be handed off from one operator to another. Directors have come to love the Movi because it’s very fast to go from one shot to the next, or to change the blocking without having to lay dolly track or move heavy equipment. 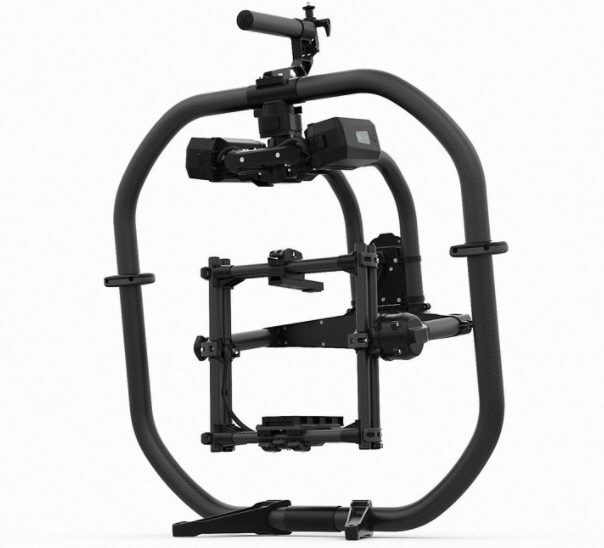 What cameras can fit on the Movi? There are new cameras coming along all the time, but generally they need to fit within the space of the Movi’s cage and need to be under a certain weight. Lens choice is also a factor, but there are ways to work with most prime lenses and some smaller zooms. I have successfully supported Arri Alexa Mini, RED Epic\Weapon\Scarlet, Canon DSLR, Canon C300 and C300 Mark 2, Sony FS7, Sony F55, and Panasonic Varicam LT.
Prime lenses weighing 6lbs and under are readily accommodated, which includes most common manufacturers, including many anamorphic options. I also bring in my kit a super-lightweight, clamp-on matte box that can hold two 4×5 filters. What power and battery options can you provide? Do we need to have power available to charge batteries? I have several battery options and cables in my kit. The MoVI can power cameras via its on-board, hot-swappable batteries, and I have D-Tap cables for Arri, RED, and some Sony. With some cameras, like the C300 Mark 2, I prefer to use built-in Canon batteries. I also carry V-mount batteries and small LiPo’s, but the Movi Pro’s batteries are very convenient and I have 12 of them, so we can go a while without charging. I do generally need to charge batteries on set eventually, but I typically have enough to last 6+ hours or so before needing to charge, depending on the setup. What about wireless focus and video? I can provide a Bartech digital single-channel Follow Focus with a Heden motor. I also can provide a Paralinx Tomahawk wireless video transmitter with two receivers. If you need iris or zoom control, we can usually rent something along with your camera. How long of a shot can you do with the MoVI? Don’t you get tired? Fatigue is always a concern, but I have a Ready Rig support vest that takes a lot of the weight of the Movi off of my arms and puts it onto my body. This is similar to a Steadicam vest, and can enable much longer operating times. The vest also makes the shots smoother, since your arms don’t start shaking from holding all that weight. It all depends on the needs of the shot, and sometimes the vest isn’t the right tool and we go without, but it really helps for about 60% of the things I shoot. With the vest, I can comfortably hold the Movi for about 15 minutes before wanting to take a quick rest, but I’ve done docu-style shoots for 60 minutes straight with lighter camera setups. I try to stay in good physical shape through exercise, which I believe is an important component of good camera operating.